I have been very impressed by all the new Christmas items coming into Aldi, and on our last shop even picked up an impulsive buy of a fibre optic Christmas tree that changes colour. It is super cool. 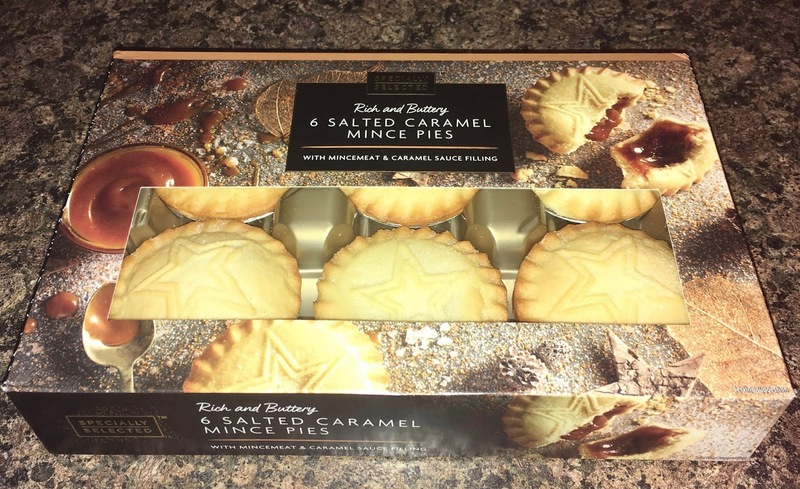 It definitely hadn’t been on the shopping list, but neither had these Aldi own Salted Caramel Mince Pies. There are so many fab seasonal temptations, and I can’t seem to stop myself. Lights, glitter or novelty and I’m on it. So these new pies consist of regular mince pie filling topped with salted caramel sauce all in a pastry case, so yes a touch of novelty. 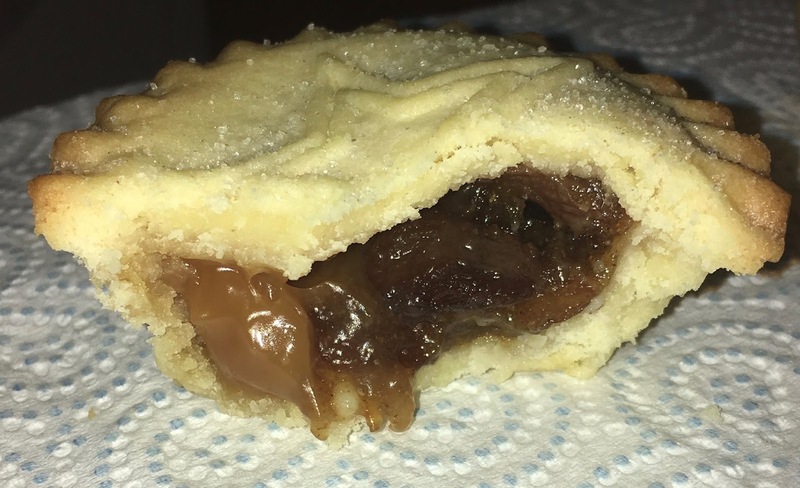 I tucked in and was pleasantly surprised by the fact the caramel sauce was still distinct inside, it hadn’t blended in with the mincemeat at all. The flavour was quite a blast of sweet, the filling didn’t really need the toffee like flavours and tones, but it did manage to carry it well. The pastry was fairly thick, but was lovely and buttery, as well as being fairly soft. I liked the salted caramel with the filling, but my taste buds have a high tolerance for all things sweet. This may have come across in previous blog posts. :-D Having said all that these are rich and one satisfied me perfectly, a second would have been very indulgent!